Rising Lands is one of those games which doesn't have anything particularly wrong with it, but it's just so bland and generic that it's hard to recommend to anyone but the most diehard of genre fans. In this case, that genre is real time strategy, best typified by Command & Conquer or Dune 2, and like the similarly themed KKND, this is simply a very familiar retread of better games, but which isn't terrible in itself. The familiarity creeps in right from the start, with a well used sci-fi plot device of a world destroyed by a terrible comet and which has shattered the survivors into small tribes who constantly battle against one another. The sense of deja vu continues with the gameplay, with the standard mix of resource collecting, creating buildings of various kinds, developing armies and conducting research into new technologies. The game takes the typical overhead perspective for its action, but apart from the way that your actions affect how the following mission develops, there's not much else of interest here. Rising Lands isn't really bad in any major way but as mentioned, it's terribly generic. The gameplay mechanics work well enough, but that's mostly because they've been tried and tested elsewhere, and there's nothing really new about any of it. The visuals are similarly unimpressive, with some decent backgrounds and unit designs, with sound to match. The controls are easy to pick up and navigate, while missions are generally challenging and fairly enjoyable, making this is an overall solid game but which is unlikely to linger in the mind. 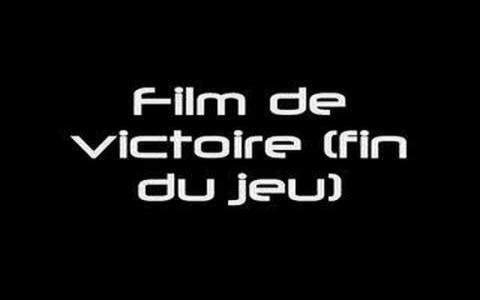 Before moving on to produce the famed Syberia adventure series along with Benoit Sokal, the company had developed lots and lots of different styles of games, including real time strategies. 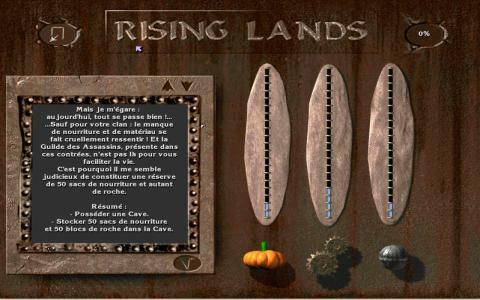 Raising lands is a good example of what the studio designed in and around 1997. 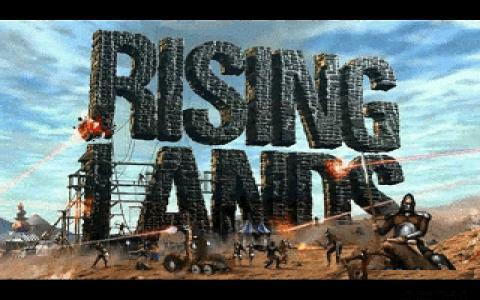 Rising Lands is a perfectly functional and yet instantly forgettable title simply because it brings nothing new to the table and has no special feature to bring it out of the slur and unoriginal mindset of the era. The game plays as if it were a one to one clone of say Dune 2, only that it doesn't treat the game world with the same attention to detail and the same careful approach. The story, which is only good up until the end of the intro video, produces a post apocalyptic world. Resources are scarce and thus, brother will fight brother in a fight for nothing other than survival. Of course, the units are one to one copies for all factions and the only edge that you can get if your strip of land is more productive than your adversaries. Again, the game is ok, there are no major issues, but the experience is just bland. 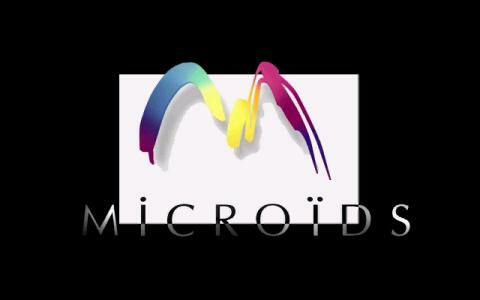 Better go for the established classics, Brood War, or the great Dune 2000 game.